In 2019, we are your FEA start! We created EXPERTFEA.COM 6 years ago! Meanwhile, we published 7 books, 90 FEA tutorials and 184 solved FEA cases, as well as 242 FEA videos on our Youtube channel. 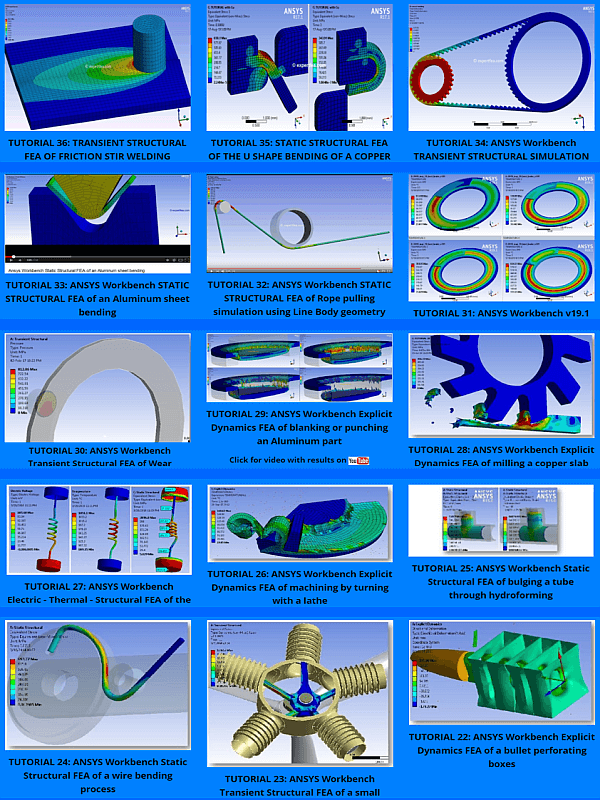 All these are at your disposal to gradually start, then master the FEA domain. Brighten your future and increase your chances to have a nice career in engineering and simulation. Here and now! What are your FEA domains? Search on expertfea.com! 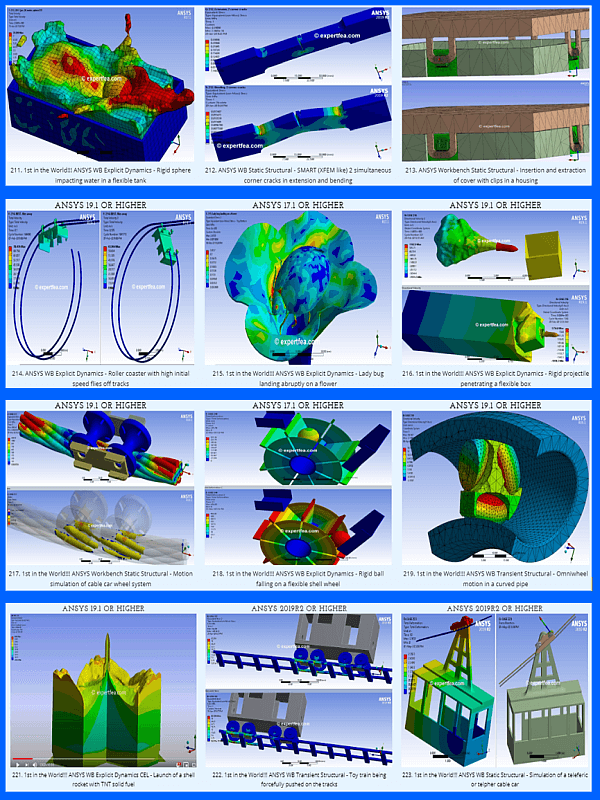 Interested in simulating gears, plasticity, machining, rubber, bearings, teeth, plane, stamping, CFD, screw, concrete, eulerian, bridge, welding, explicit, transient, PSD, train, rolling, XFEM, engine or Aquaplaning? Use the Search tool and find the FEA we have for you! Our FEA of the week! 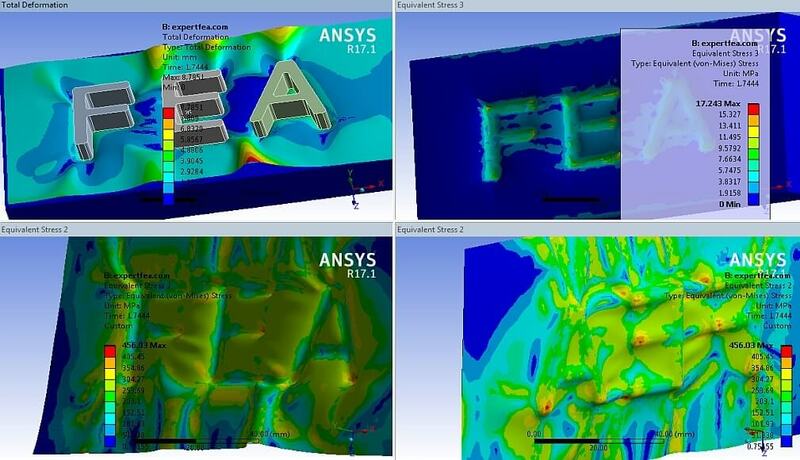 Improve your FEA skills with 184 already solved FEA cases in ANSYS Workbench! Become an expert in FEA by applying these 30 step-by-step ANSYS Workbench tutorials of 25 ÷ 55 pages! 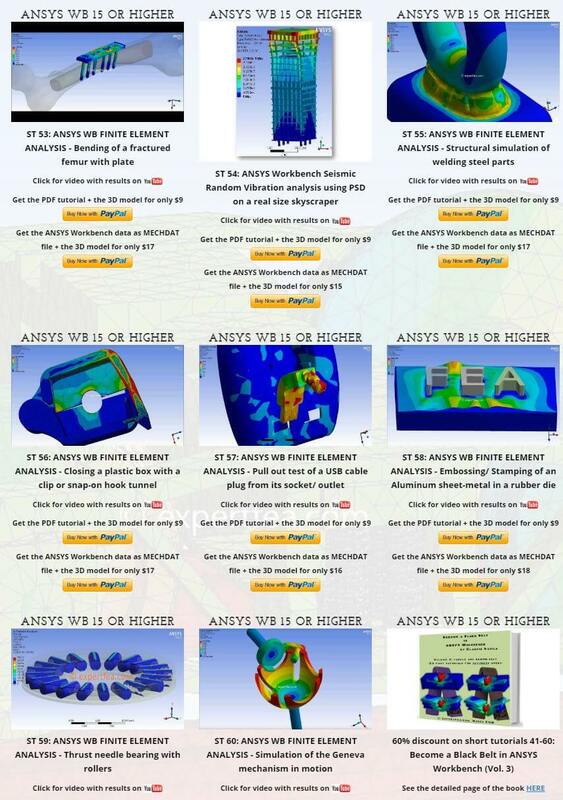 Greatly improve your FEA skills with these 60 short ANSYS Workbench tutorials of 7 ÷ 37 pages! Tired of the boring beams, trusses and shells being analyzed hundreds of times in the present books on the market? 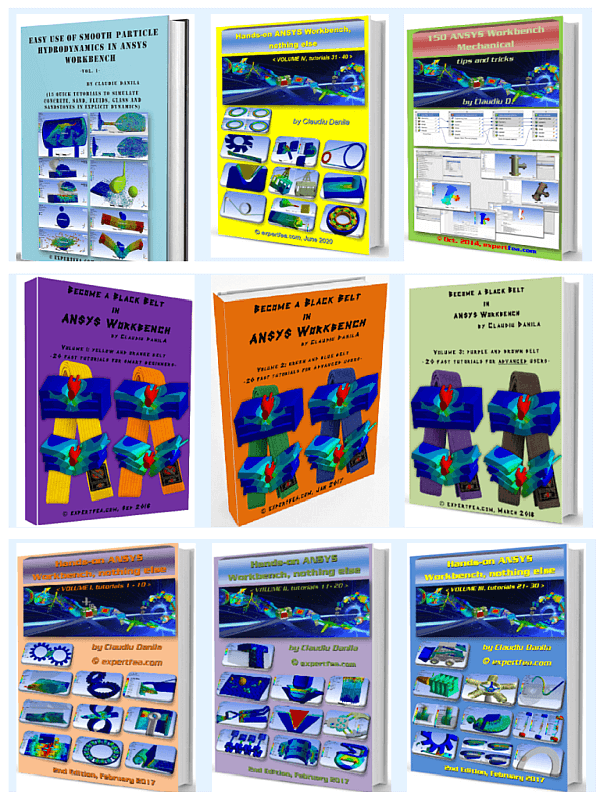 Really expand your FEA knowledge with these 7 useful and interesting books in ANSYS Workbench!